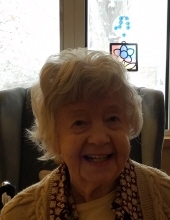 Dolores (Dee) Wasson, 90, passed away peacefully in Fort Collins, CO on Aug 8, 2018. She bravely fought Parkinson’s for the past nine years in Columbine facilities with loving care provided by staff and family with recent months guided by Pathways Hospice. Dee’s family extends heartfelt gratitude to those caregivers who touched her life. Dee was born in 1928, to William and Mable Dodge in Rockport, KY. They moved to Tennessee and then Illinois after her father was killed in a Kentucky coal mining accident. She graduated Eldorado High School, worked for veterinarian Jim Johnson, served at ‘Golden Rule Drug Store’, married Downey Wasson in 1951, and had two sons. They successfully ran Wasson Lumber, Dollars & Sense, and Books ‘n Things while growing their faith in Jesus Christ and their involvement in First Baptist Church as members for over 50 years. Dee taught in Sunday school, training union, and VBS, utilizing her love for children in her faith. She cared deeply about the people in her life. Dee was preceded in death by her parents, husband, two brothers, and two sisters. She is survived by her sons Mark (Barbara) in Marietta, GA and David (Sarah) in Fort Collins, CO, three grandchildren, three great-grandchildren, other close family, and many dear friends, all of whom she loved. A service celebrating Dee’s life will be at 11am on Saturday, September 1, at Watson Funeral Home, visitation beginning at 9am. In lieu of flowers, contributions can be made to the youth program of First Baptist Church in Eldorado. To send flowers or a remembrance gift to the family of Dolores "Dee" Wasson, please visit our Tribute Store. "Email Address" would like to share the life celebration of Dolores "Dee" Wasson. Click on the "link" to go to share a favorite memory or leave a condolence message for the family.